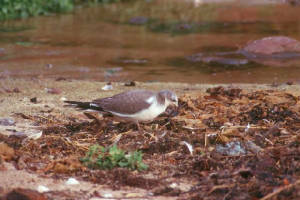 Habitat: Scrub, small beach, nearby sea-cliffs. Regular/annual: Common warblers & other night-migrants; Raven; Yellowhammer. Scarcer species & rarities: Sabine's Gull, Turtle Dove, Black Redstart, Melodious, Reed & Garden Warbler, Firecrest. Access: Rathmoylan Cove is reached by following the coast road west from Dunmore East, about 2 km beyond the sign for Portally Cove. From the west, approach from Ballymacaw. 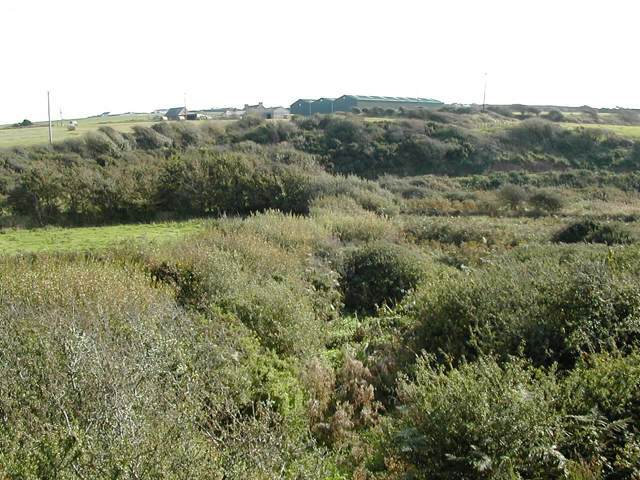 Extensive low scrub along the stream running down to Rathmoylan cove, and on the adjacent hillside, provides excellent migrant habitat, although the site is under-watched. Nocturnal migrants are frequent in spring and autumn, usually Goldcrests, Willow Warblers and Chiffchaffs but occasionally rarer species like Melodious Warbler or Firecrest. 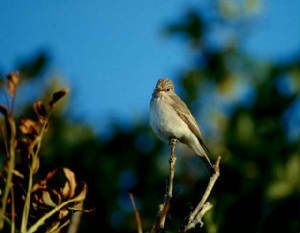 Breeding species include Sedge Warbler and Yellowhammer. Down at the cove, wagtails & Rock Pipits are frequent and Black Redstarts have been recorded in autumn. A slightly oiled Sabine's Gull spent several days here in September 1996. Small numbers of Herring Gulls and Fulmars breed along the Old Red Sandstone cliffs east and west of the Cove. Some care is needed in walking the cliffs from Rathmoylan to Portally, but in spring good views can be had of Ravens breeding at Old Ship’s Cove.